Is this an image from a Syfy movie or a multiplayer game demo? Neither. 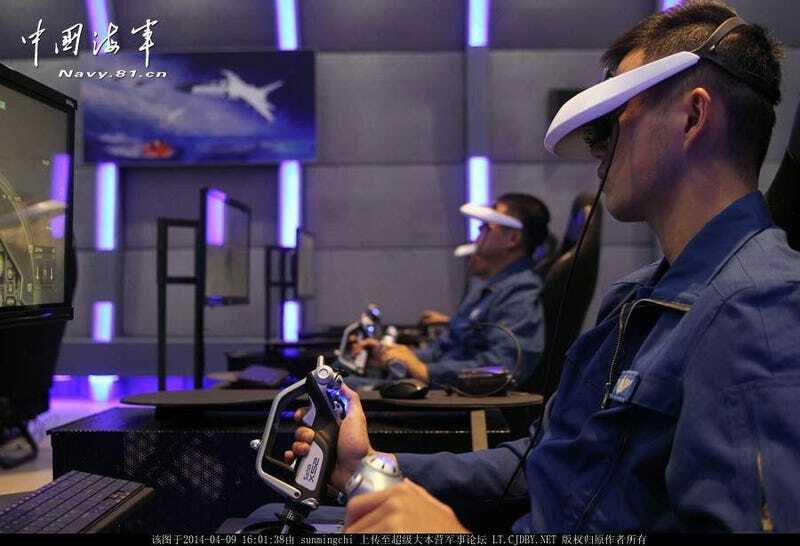 It's an image of Chinese People's Liberation Army Navy Air Force (PLANAF) pilot cadets doing virtual reality flight training. Image from popsci.com.